There is something about retro outfits or vintage pieces that just bring out the lady in you...and it doesn't even have to always be a dress. I know this outfit is borderline soccer mom look, but what is wrong in a soccer mom being chic :)? I have my days as a mom where i just don't want to dress up, but a lady in vintage- Oh yeah! 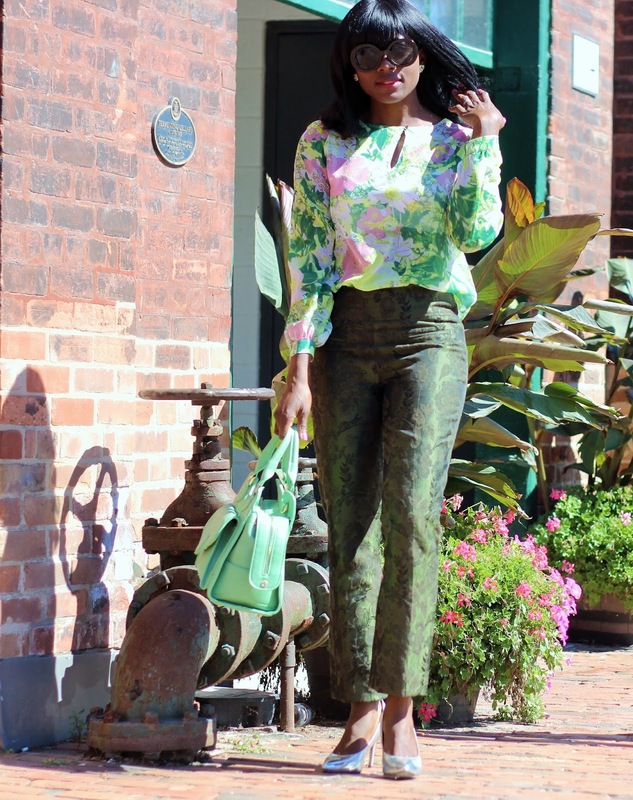 A modest and simple look with a vintage flair. 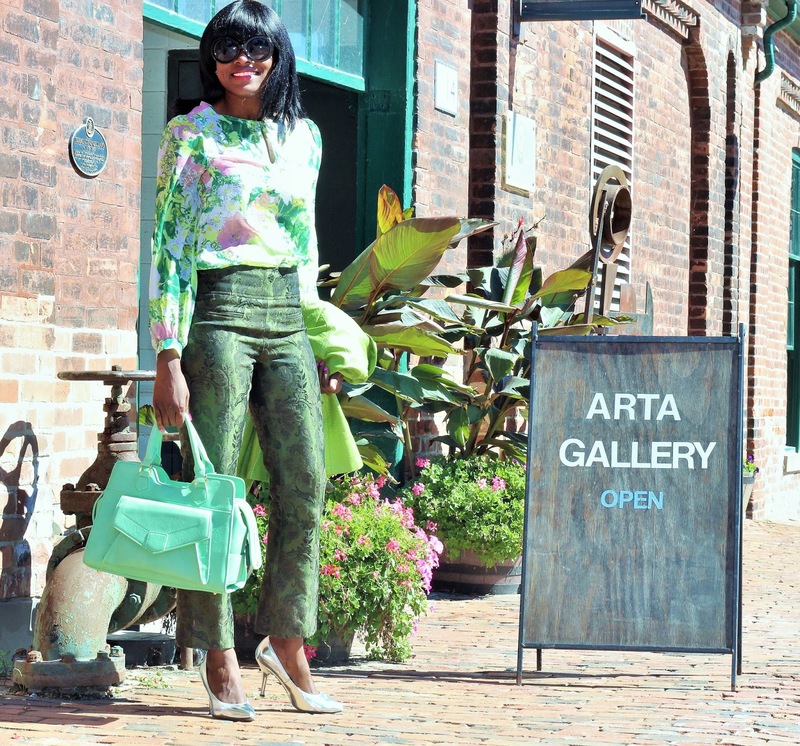 The first time i featured this pair of retro style pants on the blog, i styled it with a green crop top, but this time the top is quite the opposite. Although, it also has some green on it, i just couldn't resist. 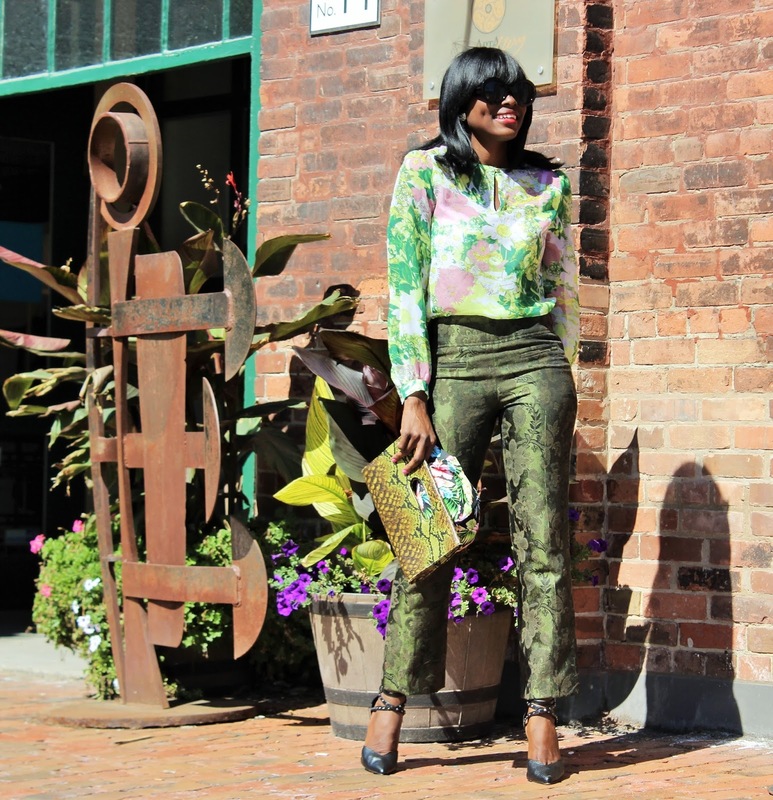 Now that it is officially fall, i hope you all indulge in some colorful fall inspired outfits. I am! Have a nice day everyone! Who do you think is older? 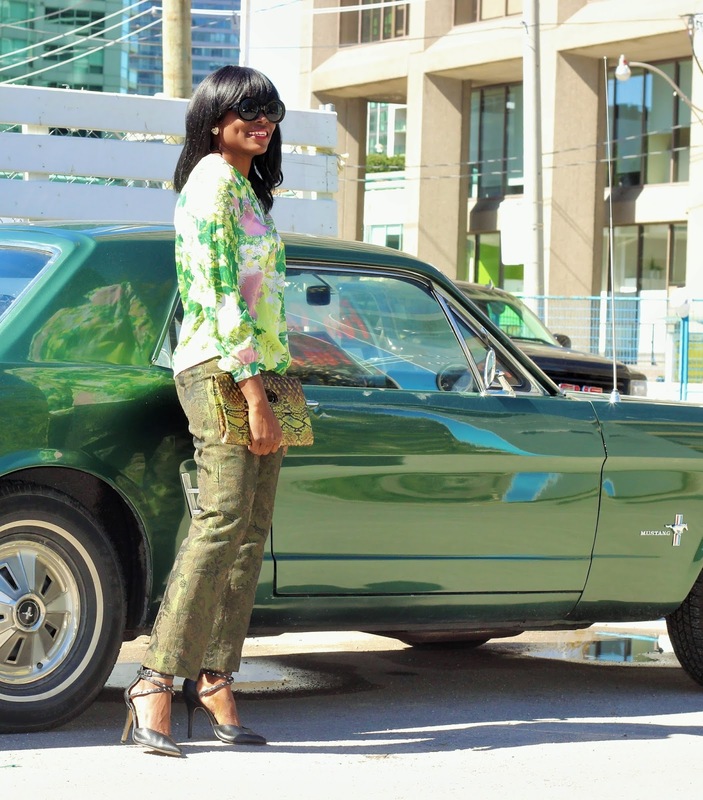 My pants or the vintage car? If it is high waisted then show it, right? 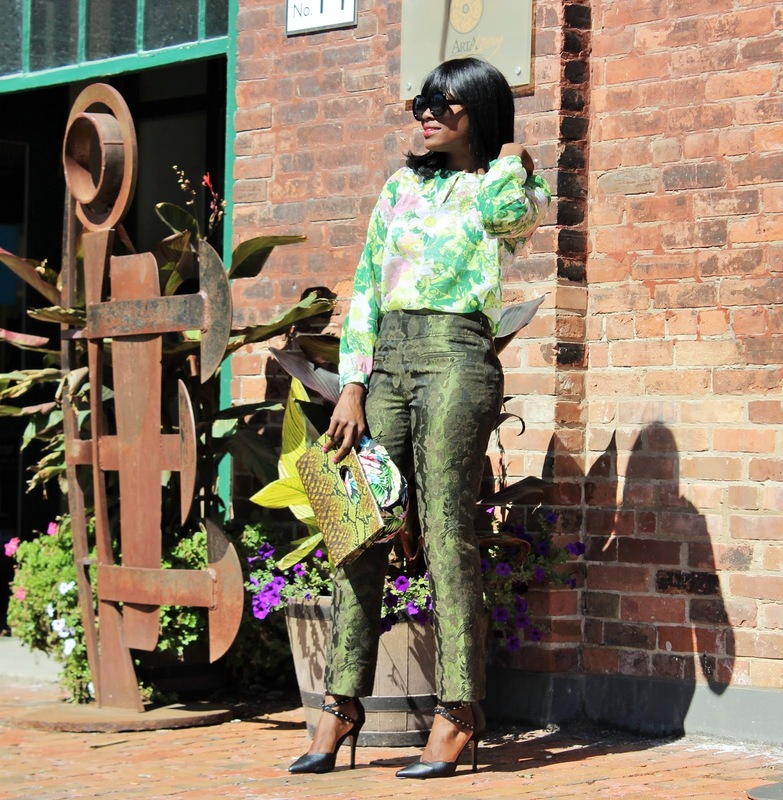 Another Great outfit and those pants are made for you. Wow! 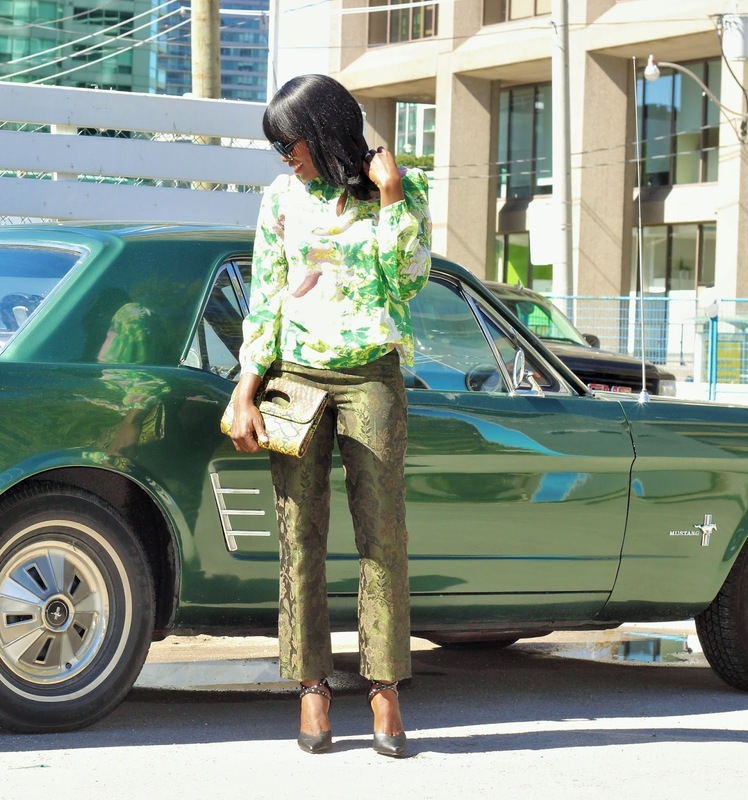 Love your green hues outfit! soccer mom what??? ah ah ah!! 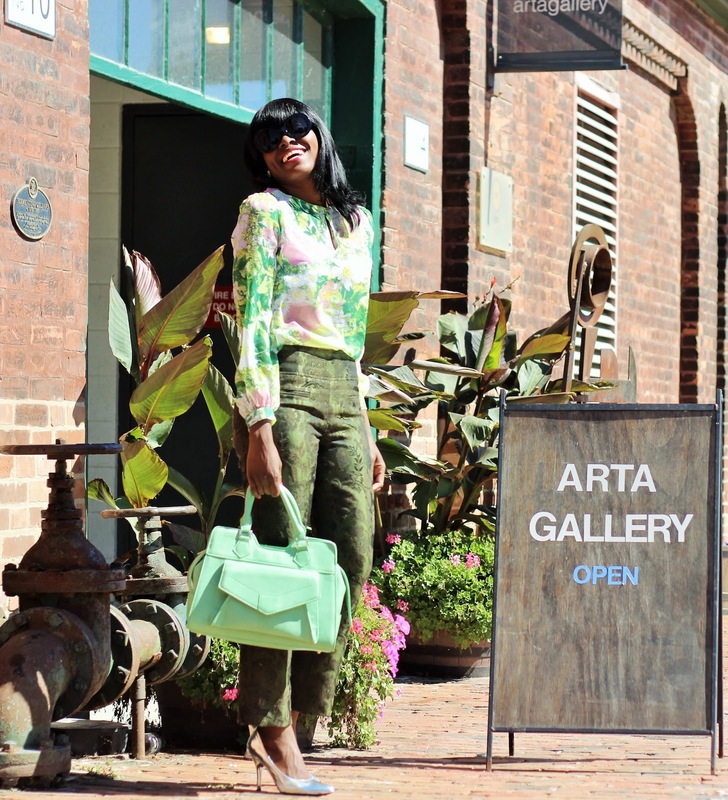 You are so cool Busola! 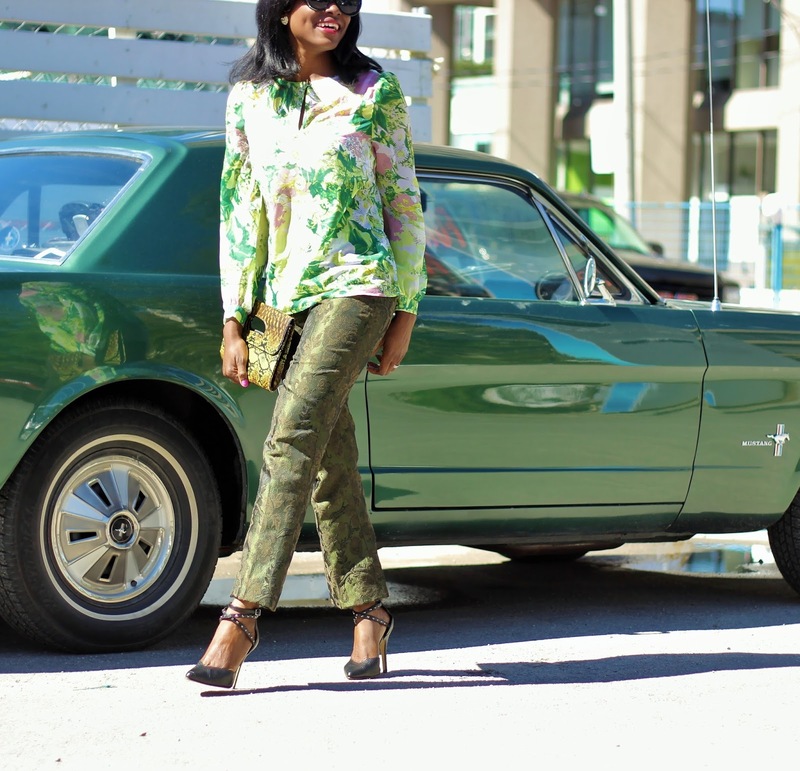 I love your retro style pants and they look great with that shirt! 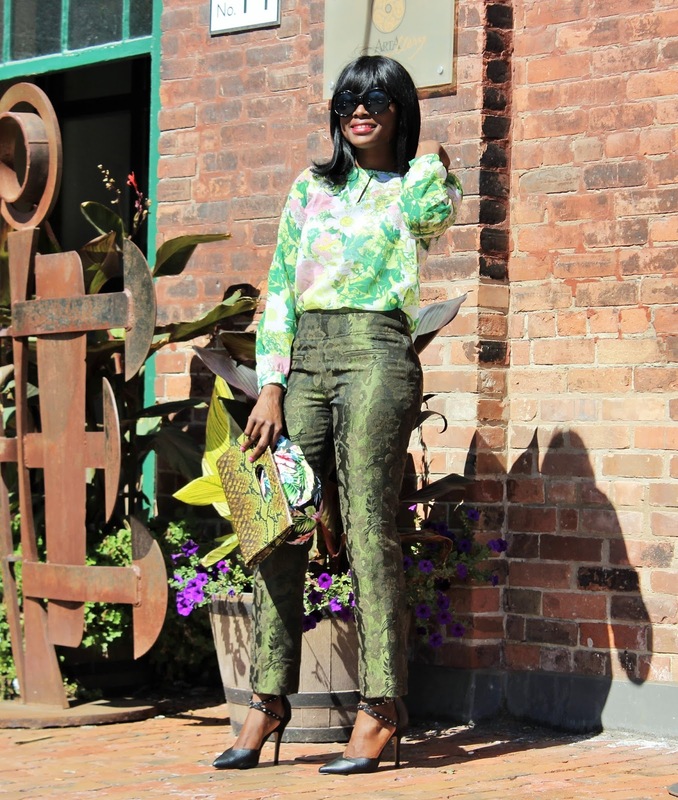 Amazing mix & match Busola, you are so creative!!!!! This combo looks so chic on you doll. Love how you mixed these prints! I would have never thought of this, but it looks brilliant! 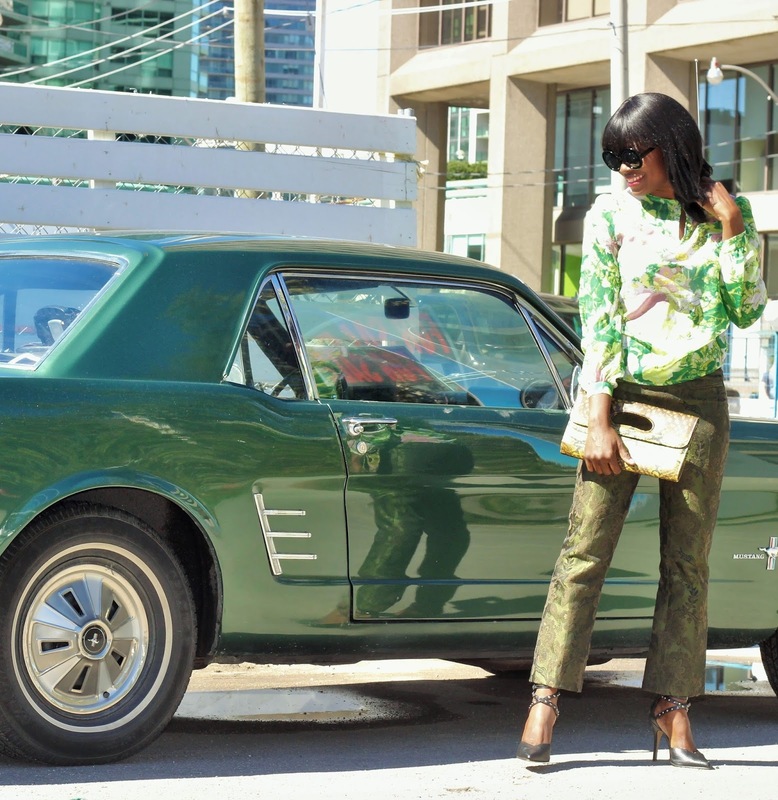 I will never get tired of telling you how much I love how you mix prints. I love both looks. 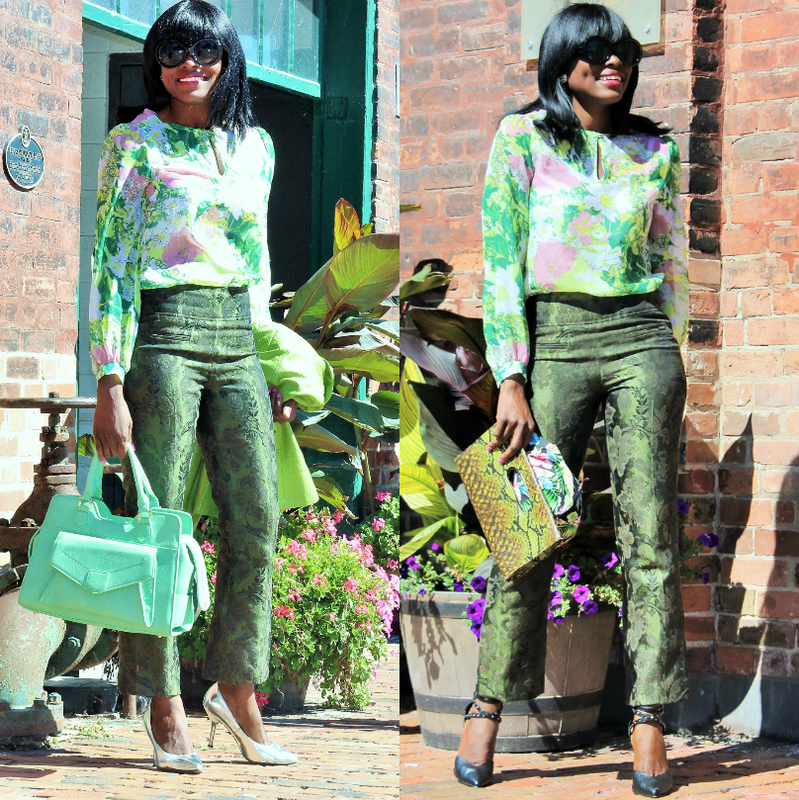 the way you combined different patterns and shades of green is just ingenious...you're stunning! You look glamorous Busola darling. I can't tell which one I like best. both are spectacular. Both look are amazing, can't pick one. 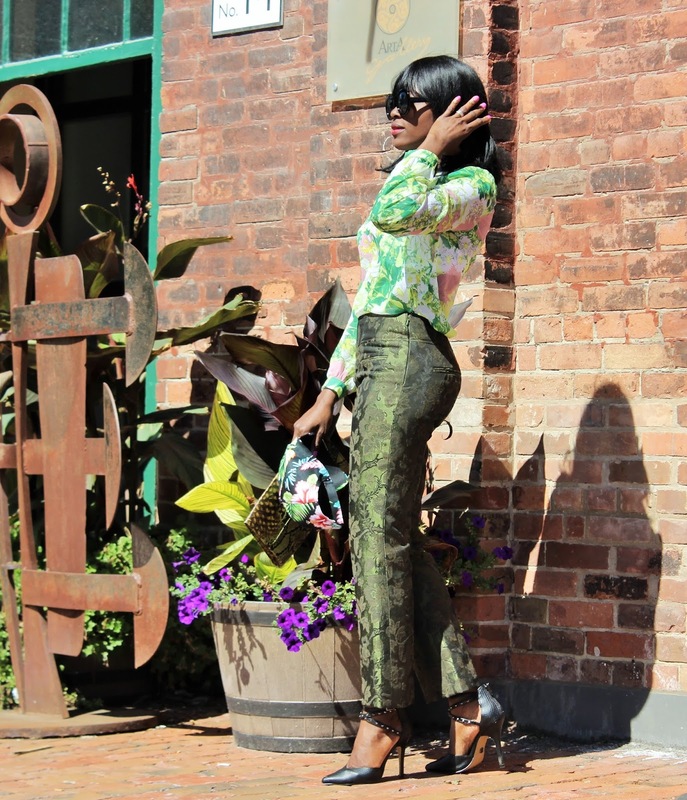 Love the print of the pants too. Work it gal!! Loving this outfit doll! The pants are so amazing! !